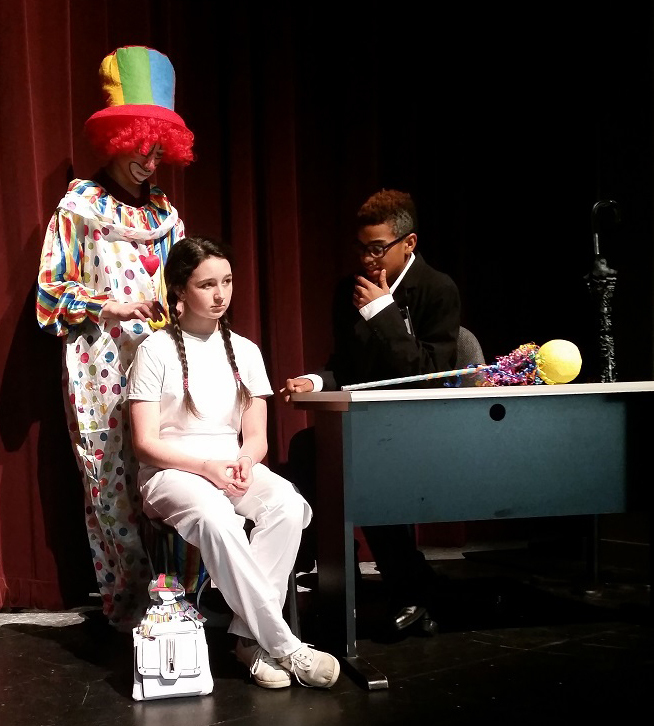 Above are DMS students Mikaela Johnson as Peggy, Jon martin as the imaginary Clown, and Malachi Jackson as Dr. Benson. What’s going on at DHS? Spread the word! Ciavarra Elementary will host its annual Drug Free Red Rally Monday, Oct. 23 at Warhorse Stadium beginning at 9:30 am. How does Devine ISD drug testing work? 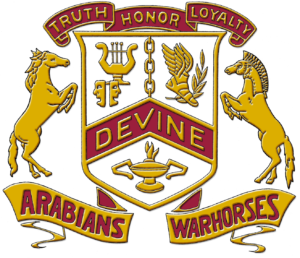 Devine ISD budgets roughly $8,500 each year to combat drugs thru random drug testing. The following is a Question and Answer session about the way drug testing works at Devine ISD, and the different measures they take to combat drugs in our schools. 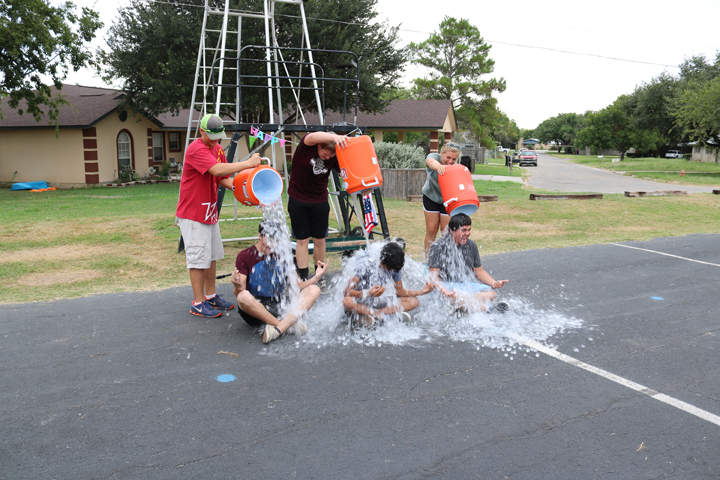 “Devine ISD budgets $8,500 for a student drug testing program to maintain the safety of our students. By policy all high school students who participate in extra-curricular events or drive on campus are required to be registered in the five to eight random draws that take part throughout the school year. “The dates and times, which are based on the Devine ISD Academic Calendar to avoid conflicts, are set-up by ForwardEdge, the company DISD has an agreement with to provide the testing. “Any results of the testing are confidential, and tied to extra-curricular participation and vehicle use at school. They are also used in helping students and parents receive counseling services,” said Assistant Superintendent Daryl Wendel. So how many drug tests were done last year total? Around 285 tests were conducted throughout the 2016-2017 school year. How many positive tests have y’all had over the past few years? As stated in the CONFIDENTIALITY section of FNF (LOCAL) we cannot discuss results. Can parents of students who having parking permits and/or participate in any extra-curricular activity opt out of drug testing? No. District policy FNF (LOCAL) requires participation in the drug testing program in order to obtain a parking permit to drive a vehicle on campus or to participate in extra-curricular activities. And are the tests a surprise to students, or how far ahead of time do they know they have been selected to test? The students are chosen randomly by the provider, and are notified a few minutes before testing. What does each test cost on average? The 9-panel screening used in the testing costs $17 a piece. About how often are drug dogs used in the school? The agreement calls for six random searches a school year. We appreciate Devine ISD answering questions about Drug Testing Policies as specifically as they can while maintaining the safety, security, integrity, and confidentiality of both processes. With much attention on the effects of Cyberbullying on children, the Texas Legislature took action to address it in our schools. Meet the Teacher Night is Aug. 24.